I always love recipes from chettinad cuisine and wanted to try one day in my kitchen. 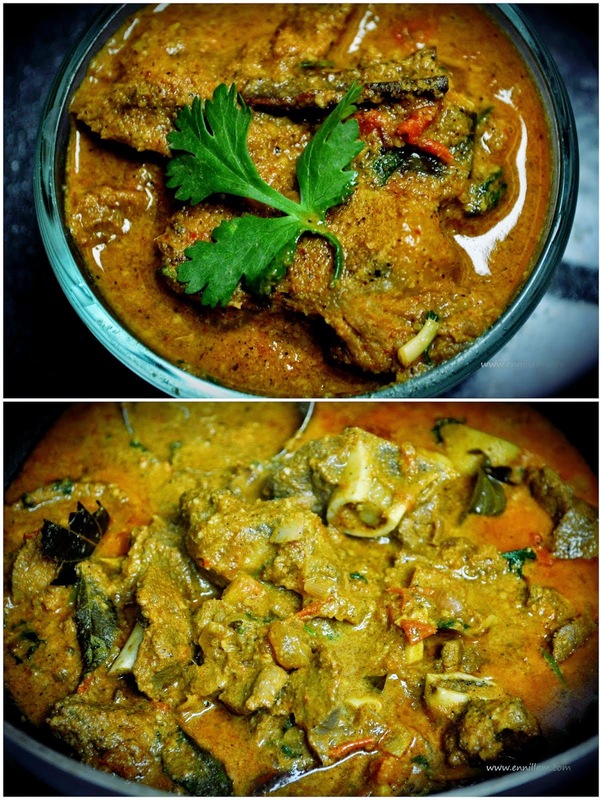 And here comes a recipe with mutton adapted from the famous chettinad cuisine. This mutton curry has lots of flavor and it is made from freshly grounded masala. Thats its speciality. Try out this mutton curry recipe at your home and share your feedback in the comments section below. add the coconut paste to the mutton masala and let it cook until oil starts oozing out. garnish with coriander leaves and enjoy hot with white rice or chappathi / roti / parotta. Its very tasty , I have tried in my home.